Although corvids show huge variation in size—the largest is more than three times longer than the smallest—a number of features are common to most members of the family. All but three species have their nostrils either partially or completely obscured by bristles or plumes. In the majority of species, the tip of the curved upper mandible overlaps the lower mandible slightly. 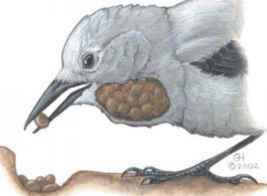 Some genera show adaptive development of the beak; the long, decurved bills of Podoces ground jays and Pyrrhocorax choughs are used to probe into narrow holes for food. The feet are proportionately large and powerful, with strong, grasping toes, suited to holding large and awkward items of prey still; the tarsi are scaled at the front and smooth behind. Corvid wings are generally rounded and rather short in woodland species. Forms that embark on long migrations, such as a number of Corvus species, have longer wings. Tails are generally long, exaggeratedly so in some genera. Both the piapiac (Ptilostomus afer), which is unique in having 10 rather than 12 tail feathers, and the Pica magpies probably use their long tails for maneuverability. In forest-dwelling treepies, the tail helps with balancing. However, elaborate tails such as that of the ratchet-tailed treepie (Temnurus temnurus) may also have a display function. Typical crows of the Corvus genus all have predominantly glossy black plumage with a metallic sheen. Species that appear identical in shape, size, and plumage can be sympatric. Australia has five species that offer the birder what Madge calls "the ultimate challenge to his field skills." However, although congeners frequently associate to feed and may overlap or even "share" breeding territories, interspecific pair formation in the wild is unknown. Clearly, the problems of identification rest with humans. Their black plumage offers corvids considerable advantages. Since this color absorbs solar energy most effectively and radiates less heat, corvids in cold surroundings are better able to regulate body temperature. Dark melanin-pigmented feathers are also tougher than light feathers. In addition, in species such as ravens that are highly sociable and, because of their size as adults, largely untroubled by predators, it is beneficial for them to wear conspicuous black plumage, displaying their presence to conspecifics, even from a distance. Other genera show a broad and sometimes dazzling range of colorful plumage. 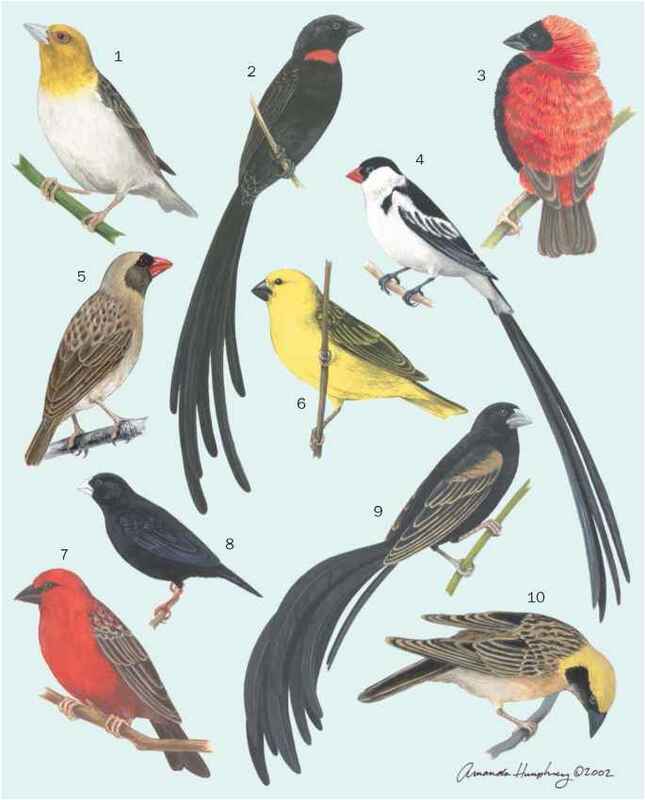 Unlike most other passerines, the body plumage is relatively simple, lacking cryptic streaks. In a number of species, the wings and tails are strongly marked, serving both to conceal and reveal. The Eurasian jay (Garrulus glandarius) is hard to spot in forests because its white wing patch acts as a disruptive feature to aid concealment when the bird is at rest. Equally, its white rump alerts conspecifics, as it is revealed when the jay leaves its perch. Some species use wing and tail markings in courtship display or in hostile encounters; the yellow-billed magpie (Pica nuttalli) flashes its wing patch to warn off rivals. The New World jays reveal a variety of display crests and plumes, from the short, backward-facing crest of the blue jay (Cyanocitta cristata), through the nasal tuft of the azure jay (Cyanocorax caeruleus), to the aptly named plush-crested jay (Cyanocorax chrysops), and the extravagant parakeet-like crest of the white-throated magpie-jay (Calocitta formosa). The only Old World species with a sig nificant crest or plume is the crested jay (Platylophus galericu-latus). Since this is thought to be a primitive jay, it seems likely that such display features were simply lost from other Old World species as they evolved. Juvenal plumage is not generally significantly different to that of adults, although the feathers are softer and duller in color. However, it is common for there to be other physical differences, usually in the eye or bill color, that enable adult conspecifics to rule out juvenals as potential mates or rivals. The first year juvenal Torresian crow (Corvus orru), for example, has a brown iris that turns hazel in the second year and white in its third, adult year.